The Future of U.S. International Religious Freedom Policy: Recommendations for the Obama Administration reviews the strengths and weaknesses of U.S. international religious freedom policy and offers detailed recommendations for improving institutions and policies, with particular attention to four key policy areas: democracy promotion, public diplomacy, counterterrorism, and international law. Co-authored by Thomas Farr (Senior Fellow at the Berkley Center for Religion, Peace, and World Affairs at Georgetown University and former director of the State Department Office of International Religious Freedom) and Dennis Hoover (director of the Center on Faith & International Affairs at the Institute for Global Engagement and editor of The Review of Faith & International Affairs), The Future of U.S. International Religious Freedom Policy draws in part on a 2008 conference series co-sponsored by the Berkley Center and CFIA. Everyone has the right to freedom of thought, conscience, and religion; this right includes freedom to change his religion or belief, and freedom, either alone or in community with others and in public or private, to manifest his religion or belief in teaching, practice, worship, and observance. Similar religious freedom language was used in the 1966 International Covenant on Civil and Political Rights (ICCPR), which has been ratified by 156 countries including the United States. The second anniversary is that of the International Religious Freedom Act (IRFA), signed into law by President Clinton in 1998. A multifaceted piece of legislative machinery, IRFA was an effort to ensure that religious liberty, which had been a relatively neglected item on the human rights agenda, would be elevated and given an institutionalized priority in American foreign policy. In explaining its rationale, the introductory "Findings" section of the Act quotes in full the sections of the Universal Declaration and the ICCPR addressing freedom of thought, conscience, and religion. 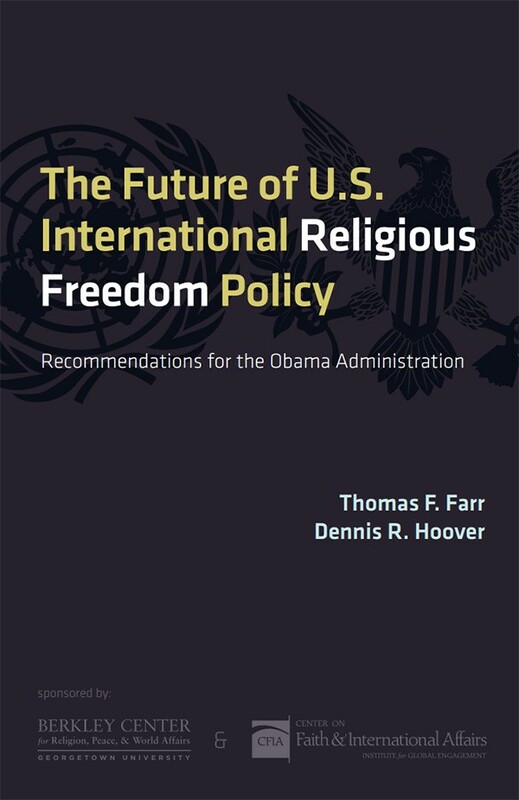 Farr and Hoover argue that although IRFA has had incremental successes in its first ten years, sustainable advancement of this universal human right requires that international religious freedom promotion be integrated into the mainstream of U.S. security, diplomacy, and development strategies.